The conversation above takes place between a sanitation worker in Austin, Texas, and choreographer Allison Orr in the excellent documentary Trash Dance, directed by Andrew Garrison. 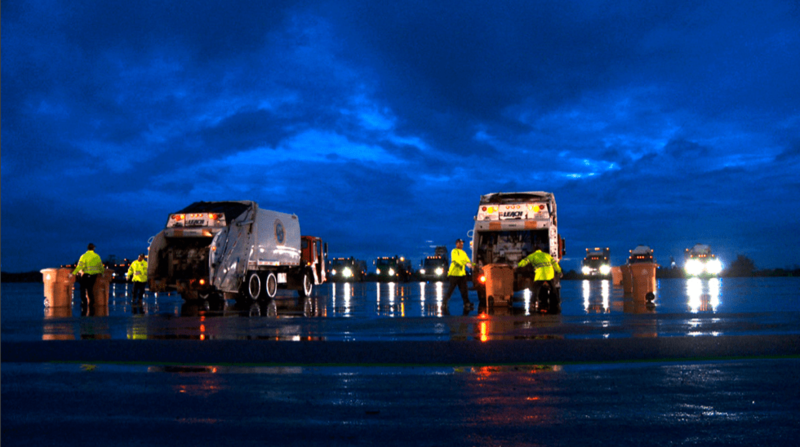 The film shows Orr’s process of putting together a choreographed “dance” of dump trucks, trash bins, and sanitation workers based on their everyday movements and talents. In this way, Trash Dance is similar to the work done by New York City’s unique artist-in-residence and anthropologist-in-residence. 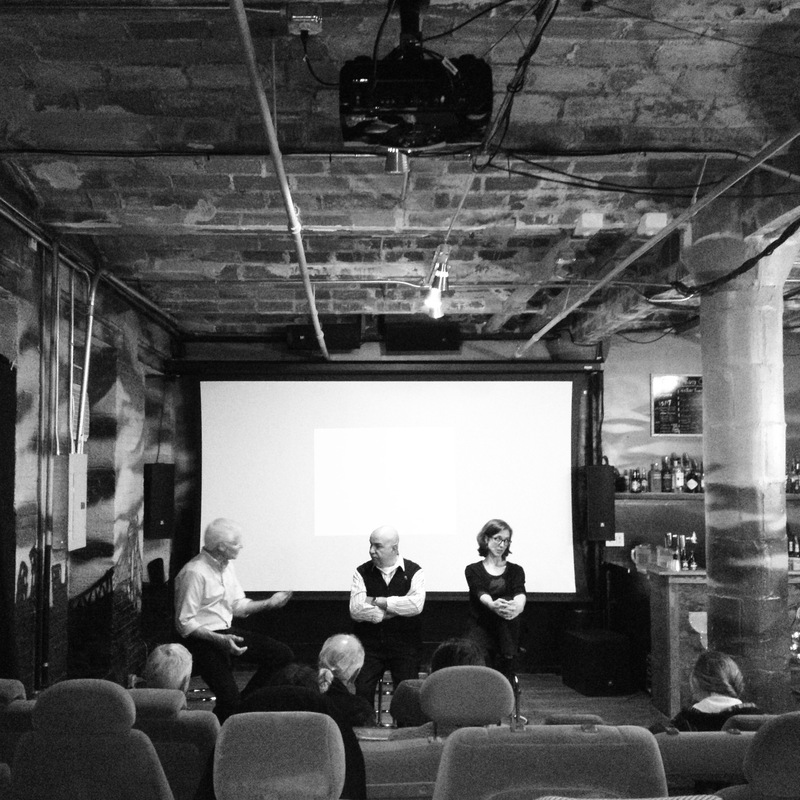 In fact, Robin Nagle, DSNYC’s anthropologist-in-residence was one of the panelists after a viewing of Trash Dance in DUMBO. Along with the director and a NYC retired sanitation worker, the panel tended to be about telling stories about the day to day work and everyday workers that keep the city clean. These stories had the same kind of e/affect as the documentary. The differentiation of a massive work force into unique individuals doing a valuable job is reflected in both Robin Nagle’s new book, Picking Up: On the Streets and Behind the Trucks with the Sanitation Workers of New York City, and in artist-in-residence Meirle Laderman Ukeles‘ famous performance piece Touch Sanitation, where she individually shook the hand of every sanitation worker in the city over a two year period. It would seem that cultural workers introduced into waste infrastructure have a similar mission that I haven’t seen achieved by many other means. Cultural production via the humanities is a kind of methodology of respect and storytelling for which sanitation is a rich canvas. Panel discussion after the screening of Trash Dance in NYC featuring (R to L) director Andrew Garrison, retired sanitation worker Alfonso, and anthropologist-in-residence Robin Nagle. *All quotes are based on recollections of dialogue after viewing the film and are not verbatim. This entry was posted in Anthropology, Art, Labor, Sanitation, Urban, Waste and tagged humanities in waste, movie review, sanitaiton worker, trash dance. Bookmark the permalink.